For the most part I don't care to listen to progressive rock music in the morning hours. I prefer classical symphonic and/or piano fare at that time of day and bands/artists like Porcupine Tree, Yes, Flower Kings and Neal Morse don't belong in that grouping. Now, just because I don't want adrenaline- producing, boisterous, head-bobbing assaults on my tender psyche at that hour doesn't mean that I desire to wallow in sappy New Age noodlings, either. (If you know anything about Beethoven's or Haydn's symphonies you know that they're anything but boring or sappy.) I just prefer to take a more mellow approach to my waking moments, that's all, and the more melodic the better. Lately I've found much of Iona's inspiring work to qualify for A.M. listening and now I can add Camel's "Snow Goose" into that classification. This is my first excursion into this heralded band's repertoire and it's about time. In the States this esteemed British group never garnered any attention for one reason or another. (My bet's on Decca's severe lack of intelligent marketing.) Their LPs made it into the record bins (I remember noticing their interesting cover art) but no one ever recommended them to me and they didn't get any radio play. They're not even mentioned in Rolling Stone's somewhat comprehensive Encyclopedia of Rock & Roll so that should tell you something about their overall anonymity. It wasn't until I started reading glowing reviews of their work on this very site that I realized they'd be a band I could appreciate. All I can say is that, judging by the high quality of this album, it's definitely my country's loss that they're still relatively unknown to the general public. I never thought a non-jazz instrumental recording could be so satisfying to my prog sensibilities. These musicians without a doubt have their own unique style but they mostly appeal to the part of me that loves both Pink Floyd and Genesis. And that's not bad company to keep, my friends. "The Great Marsh" fades in with a ghostly Rhodes piano accompanied by wordless vocals and, farther along, bolstered by a Mellotron. "Rhayader" features a playful flute melody at first, then morphs into a cool organ segment. Here keyboard man Peter Bardens employs a warm and fuzzy distortion that reminds me of Mike Ratledge's approach on Soft Machine's debut. Love it. On the longer "Rhayader Goes to Town" the tempo takes a welcome upturn. Andrew Latimer's layered harmony guitar lines lead to a funky synthesizer riff before his electric guitar reenters with a David Gilmore-styled solo. "Sanctuary" has a beautiful melody played over a serene acoustic guitar and "Fritha" is an extension of the same feel, this time with a smooth synthesizer floating over more acoustic guitar. "The Snow Goose" further displays Latimer's delicate touch on the fretboard as he soars above Bardens' organ. Variety is always a big plus in my book and I always hope for surprises when checking out a band for the first time so when the group stepped aside to allow bassoons, clarinets, oboes and flutes to calmly stroll in on "Friendship" I was delighted. What a great change of pace! Without missing a beat the band jumps headlong into a contemporary jazz motif on "Migration" complete with wordless jazz vocalizations before they settle things down again with the serene, gorgeous "Rhayader Alone" where Andrew makes his guitar utter lonesome emotions as the Rhodes piano holds the song together. Their honorable Genesis influence and attitude is most evident on "Flight of the Snow Goose" and they perform their homage well. A 12-string guitar opens "Preparation," allowing woodwinds and Latimer's flute to frolic overhead, paving the way for a "bubbling" synthesizer effect and a disembodied vocal to take over. A fat Hammond organ sound dominates the beginning of "Dunkirk," with a full brass horn section jumping into the fray to participate in a slow build-up. The tune culminates with hot slide guitar and flanged drum fills from Andy Ward. It's got a great Pink Floyd flavor and it's their most energetic track on the album. "Epitaph" is a brief reprise of "Preparation," then Peter shows off his admirable grand piano skills on the too-short "Fritha Alone." He creates a truly elegant moment and I wish there was more of it to indulge in. 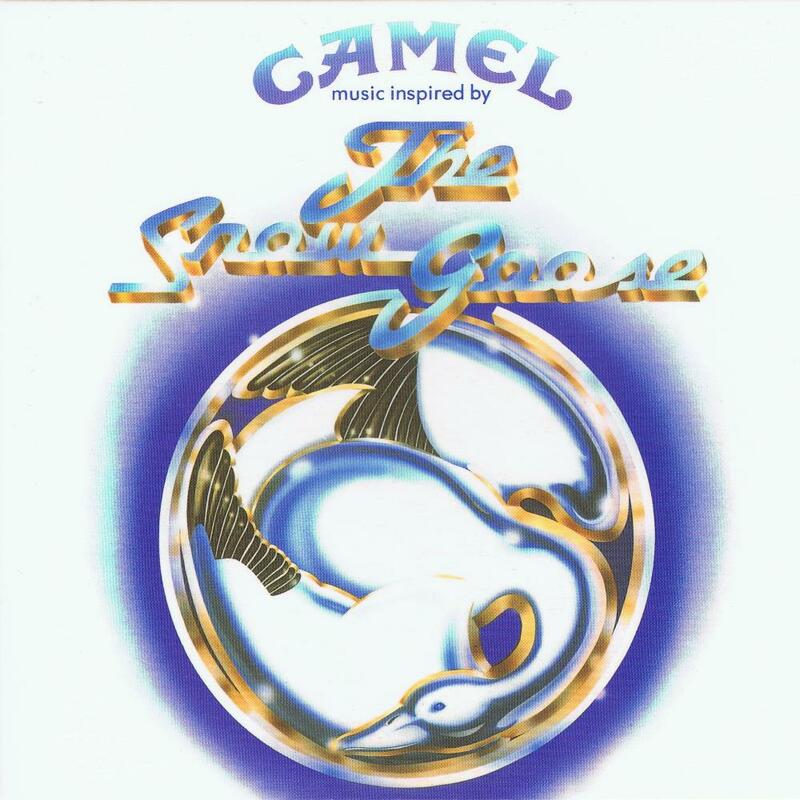 "La Princesse Perdue" is a return to the up tempo groove of "Flight of the Snow Goose" but this time a full, lush orchestra joins in and the result is fantastic. "The Great Marsh" brings the whole thing full circle with a haunting rendition of the epic's eerie beginning. What a splendid journey it has been. The first three bonus tracks are merely out of context edits of a trio of the piece's most memorable airs and only serve as a recap of what you just heard. But the two concert tracks are real eye-openers. Both were taped live at the famous Marquee Club in late 1974 and both have terrific sound. Unshackled by the necessary precision of the studio environment, the rhythm section of Andy Ward and bassist Doug Ferguson really get to spread their wings and fly. And these aren't just note-for-note renditions of "Flight of the Snow Goose" and "Rhayader Goes to Town," either. There's an excellent spontaneity going on in the performances that makes these cuts very exciting. At the very end they segue into "Freefall" where the vocalist reminds me a little of a young Kevin Ayers. I can honestly state that I don't have anything else quite like this in my entire prog collection and that makes it worth having right there. Add in the fact that the musicianship, the wide spectrum of instrumentation, the melodic composing and seamless arrangements are all top notch and you have a wonderful album on your hands and in your ears. I can't think of a better prog CD to spin on a quiet morning while you get your mind ready for the day that lies ahead. 4.3 stars.